Coconut oil just like some other essential oils possesses lots of health benefits to mankind. They have been extensively utilised in the world today for treating various health issues, no wonder they are been classified also as super foods. They contain essential nutrients and minerals that have been proven to be beneficial to your health. The health benefits of coconut oil are quite numerous and in this post i will be listing about 7 of them that is important for you to be aware of. Over the last few years, researchers has conducted several studies and have found out the some remarkable health benefits from this natural occurring oil. They discovered that coconut oil is made up of healthy saturated fats, fatty acids and several nutrients. The health benefits you shall be looking at below are backed up by medical researchers, hence, they are real and true. 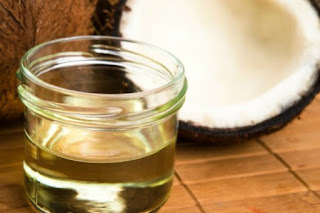 Coconut oil is highly effective in burning down abdominal fat. Just a spoon full of this oil contains some certain fatty acids that can burn down belly fat. Include coconut oil in your diet to hasten your weight loss program. Coconut oil is highly effective in strengthening your immune system. It has certain properties that are capable of fighting infection-causing bacteria. Including coconut oil in your diet will sure enhance your immunity and keep infections far from your reach. Regular consumption of coconut oil can effectively increase your level of good cholesterol. Virgin coconut oil also possesses remarkable compounds that can lower your risk of heart-related problems. Several muscle-building products contains coconut oil as an essential ingredients. Some studies also discover that aside from burning fats, this incredible ingredient in coconut oil can help fasten the muscle-building process. Over the past few years, the technique of oil pulling has managed to get worldwide popularity because of its effectiveness in preventing tooth decay and other viral issues. Do this on a regular basis using coconut oil for promoting oral health and keeping infections at bay. The nutrients that are found in coconut oil has the potency of improving the brain memory and overall functionality. Include coconut oil in your diet and see how your brain will start to function optimally. Coconut oil has antifungal and anti-inflammatory properties which makes it possible for it to combat yeast infections. It is also a good source of protein, which makes it possible to fasten the healing process and prevent the reoccurrence of the yeast infection.